Ms. Meline joined the Board of Directors in 2018. She is a specialist in both finance and law having worked for many years with both public and privately held companies in all stages of their life cycles. She has held positions as a lawyer, investment banker, board member and investor. Susanne co-founded Francis Capital Management, a value-based investment advisor, where she continues to specialize in small cap stocks. Ms. Meline is an experienced legal professional, having worked with Jones Day – an international law firm that provides corporate legal advisory services across multiple disciplines and jurisdictions. She previously worked as an investment banker with Houlihan Lokey, a global investment bank serving corporations, institutions, and governments worldwide. 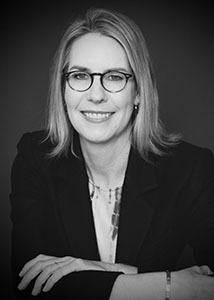 Susanne is a Certified Director through the UCLA Anderson School of Management and a member of the National Association of Corporate Directors. Ms. Meline received a B.A in political science from UCLA, and a J.D. from the UC Hastings College of the Law. She served on the board of directors of Finomial Corporation, a Series B stage FinTech company, until 2018 at which time she transitioned to her current role as a Series A board observer.